The Yellow Fish Durational Performance Festival based in Seattle, Washington (US) is a platform with a focus on durational work. Founded by Alice Gosti in 2013, the 2018 festival relaunched under the leadership of Babette DeLafayette Pendleton, with Jillayne Hunter, Marlys Yvonne, and Jessa Carter. Yellow Fish has remained true to its spirit since its beginnings — it is a completely artist driven event. In this year’s festival, the theme decided was Time Passed, in celebration of the past festivals and a bridge towards its future. The artists presented works previously performed, testing the possibilities of revisiting old works through current states. Through an open call process, Yellow Fish curated and presented 32 different performances in the course of five days, with a festival duration of 184 hours. We present three highlight works by Branko Miliskovic, Mariel Carranza, and Sarah Cameron Sunde. Branko Miliskovic creates performances that combine forms of cabaret, opera, theatre, photography, and film. Miliskovic pulls on pieces of history, often political and dealing with a sense of collective or universal memory. Through a character, he delivers a space with familiar emotions. The Song of A Soldier On Watch (The Song from the Grave) One Man Opera, is a work that deals with anticipation, and the tormenting wait for a someone to return from war, referencing Arnold Schönberg’s famous opera Erwartung. Mariel Carranza’s work centers around ritualized repeated actions over time, which trigger physical, mental, and emotional responses. In this work, Carranza attempts to take the water from the glasses with sunken objects. She is depicted in rage, anger, and frustration as she lifts and tilts each glass towards her mouth. At times, she reads excerpts from Ruben Dario's poem: Los Motivos del Lobo. 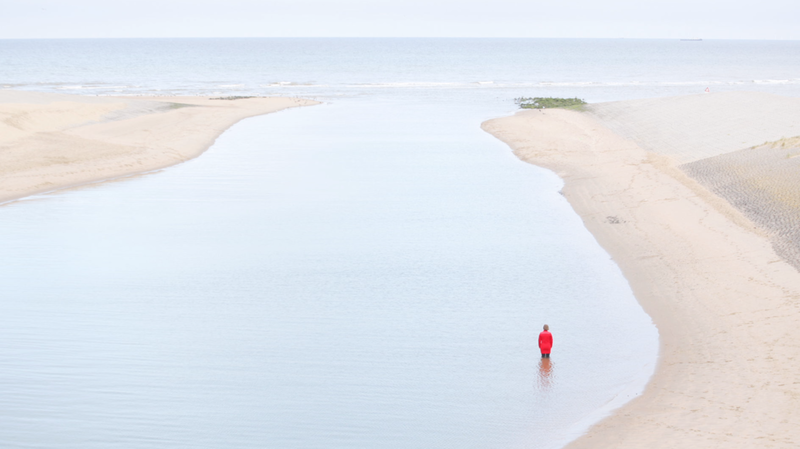 Sarah Cameron Sunde walks into a body of water and stands over the course of one tide cycle, lasting 12-13 hours. People are invited to join her in the somber reflection, in which the shifting tides can act as an allegory for numerous issues from artists survival, to the rising sea levels on the planet. Sunde started this series in 2013, after Hurricane Sandy hit New York City. The work will take place over the course of seven years, and in six continents. Learn more on Yellow Fish Durational Performance Art Festival here. Follow on Instagram at @yellowfishfestival. Videos filmed by Maxwell Bennett and edited by Jessa Carter. Photos and videos courtesy of Yellow Fish Durational Performance Festival.